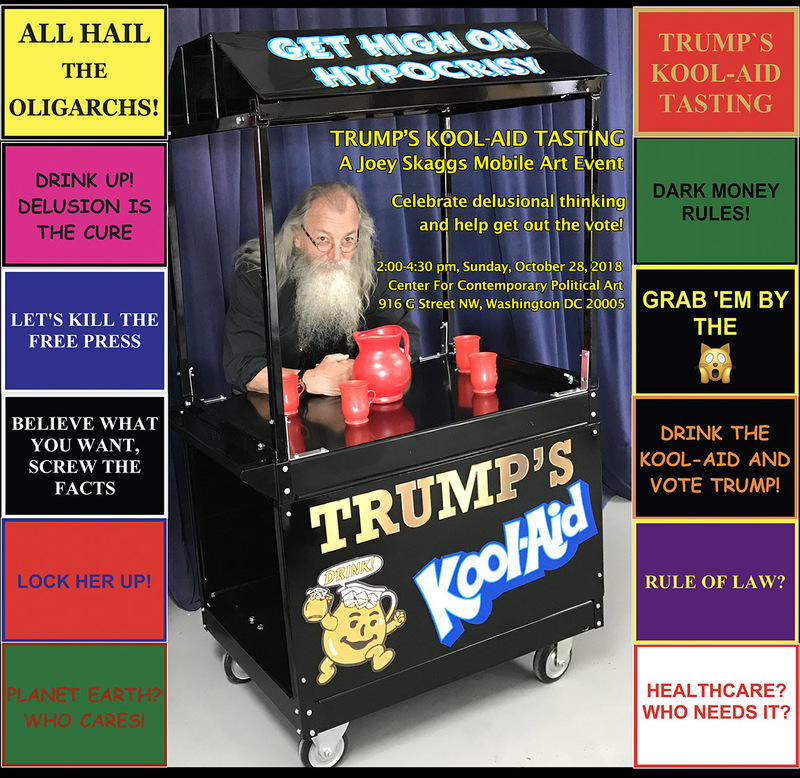 2:00 pm – 4:30 pm: Trump’s Kool-Aid Tasting, a mobile art event. This is a faux Pro-Trump parade, illustrating and satirizing what Trump represents to the American people. The performance aims to counter voter apathy and motivate people to turn out for the 2018 midterm election.